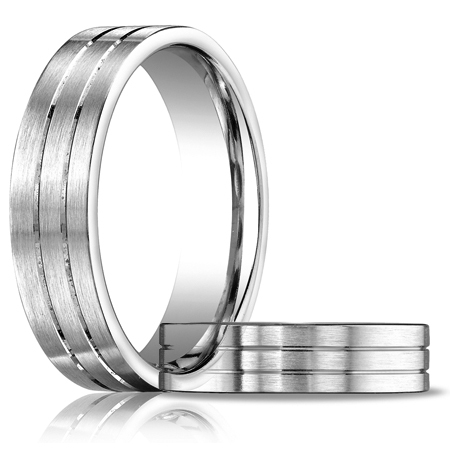 Platinum wedding band is die struck and comfort fit. Satin finish with three grooves. Width: 6mm. Solid platinum 950 [95% Platinum, 5% Ruthenium alloy] Made in USA.